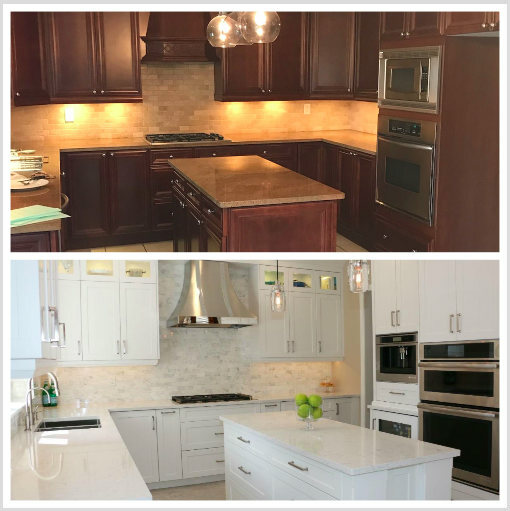 These are our Oakville kitchens with before & after pictures of a recent renovations that we completed. As you can see in the before picture at the top that the kitchen was closed off to the dining room located to the right of the kitchen. On the after picture you see the beautiful kitchen renovation by Toronto Custom Concepts but you also see that we opened up the non-load bearing wall to introduce a new butlers pantry opening directly to the dining room...Hope you like this oakville kitchen and home renovation.